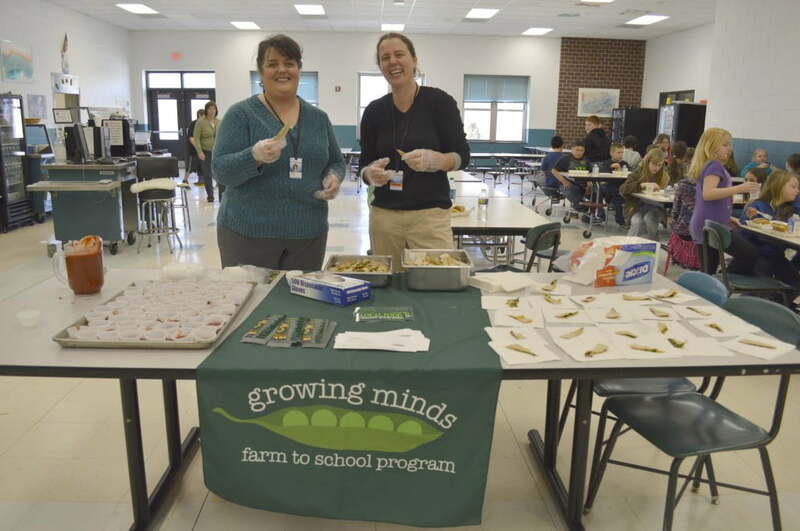 County Child Nutrition Director Tammy Woodie, along with parent and teacher volunteers, prepared and served samples of kale quesadillas (aka “kalesadillas”) to students as they arrived for lunch late this February. Even Superintendent David Burleson joined in the fun sampling the cheesy treats. Craving local kalesadillas now? We don’t have a recipe written out, per se, but we’re happy to share the process! 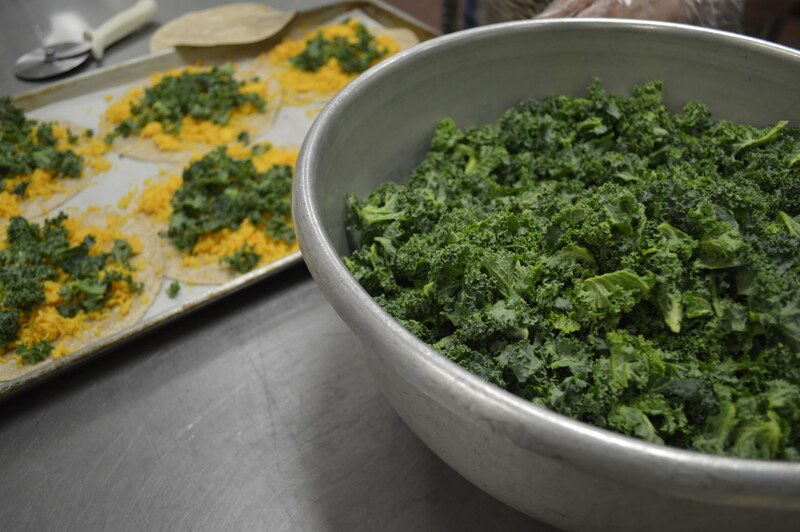 In the schools, we lightly oiled a baking sheet, placed whole tortillas down, sprinkled them with local cheese and chopped raw local kale, topped with an additional tortilla, and baked at 350 until the cheese was melty and tortilla lightly browned! You can also make on the stove by adding a little oil in a saute pan, adding your tortilla, adding the ingredients, then folding the tortilla in half!